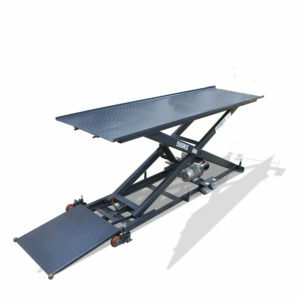 ﻿ Scissor Lift For Wheel Alignment 5500 Kg Free Wheels Service | Velyen - Equipamiento de taller. Fabricante de elevadores. · Sliding rear plates with low level of friction, manual locking in centered position and circular movements in any direction. · New more powerful motor of 3 Kw. · Added, a new auxiliary cylinder per platform, giving less pressure but more efficiency with lifting and lowering processes. 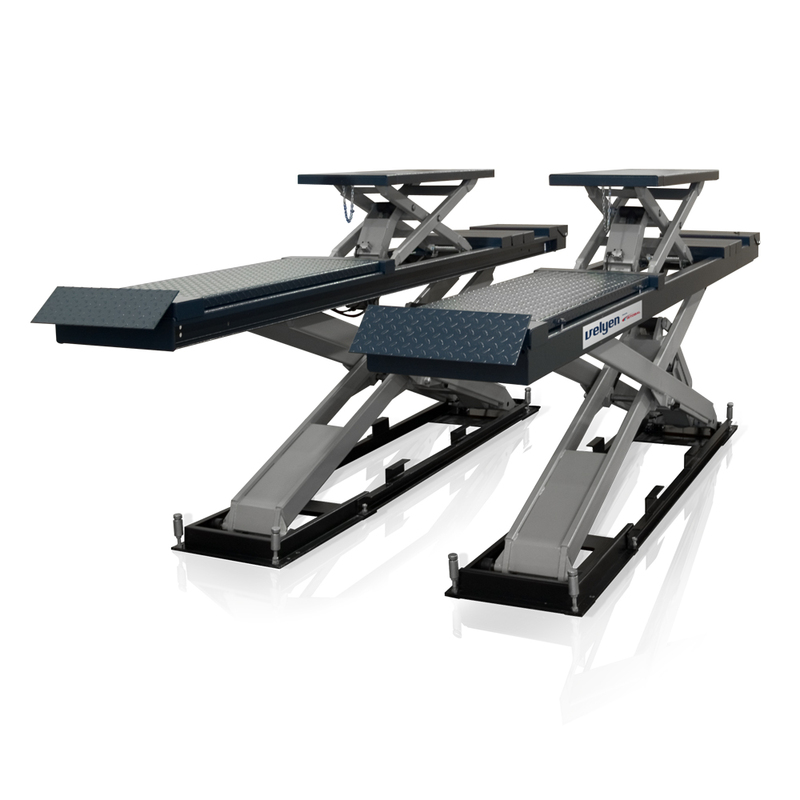 · Full alignment platforms, with adjustable seats for all types of front turntables. · Suspension systems and safety devices against wedges. · Optional platform lighting kit. · Safety system against obstacles in the descent. · Hydraulic cylinder equipped with valve that regulates the speed of descent. · Safety valve in the hydraulic unit in case of overpressure. · 24 V operating switches “Dead man” type, separate up / down switches, and general switch that can be padlocked. · Control of the speed in the descent. 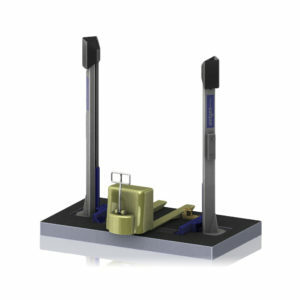 · Anti-crushing safety device when lowering the lift. To continue the descent, press the lower button again. During the whole descent the elevator will emit an acoustic signal.